It’s 1881. Marguerite is going to have one last summer of adventure before even considering marrying someone boring. Hearing her father’s plans to camp them on the shores of the newly developed Lake Manawa seems perfect. Falling in love with the sailboats that glide across the lake, nevermind the charming captain of her proudest yacht, she concocts a risky plan to get sailing lessons and do what she wants for one summer more. When her mother’s choice for fiancé turns out to be almost as dangerous as he is dull, Marguerite may finally be ready to admit that she is in over her head. It’s a little late for swimming lessons once you’re drowning though. This book shines with historical color. The boardwalk that Marguerite and Trip stroll along doesn’t exist, but is as modern and stunning as a recreation in a Rogers and Hammerstein production on broadway. And Lorna Seilstad’s attention to detail, and affection for this period of time on the shores of Lake Manawa is really impressive. When the fuzz clamps down on sin on the shoreline, it’s thrilling, when yachts pull out and race a regata, you hang on to hear every dip and tug of the ropes, when Marguerite puts on her most modern outfit - all white, slightly masculine - you feel the forwardness of the fashion, when she stands close to Trip and points out the stars in the sky, it’s definitely romantic. One great review on GoodReads slammed this book in ways I didn’t even think of when reading it, taking it down as a member of the Christian Romance subgenre because the prayer was self-serving and felt added in. She also poked at the late night lakeside revivals that the two lovers attend. In defense of them, revivals were historically hokey as a rule. Have you ever procured a book for yourself thinking it was one thing and cracking it open to discover something else? 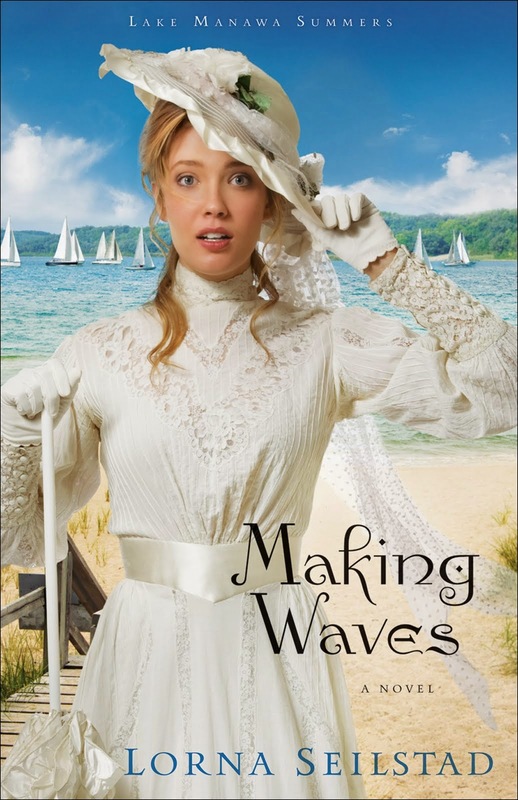 I added Making Waves to my list after glimpsing it on Lendle and thinking it looked like a fun story of a girl in the (why not) Australian Outback. Like, on a lake that isn’t Lake Victoria. This book was set in Iowa. In my defense, Manawa is a Maori word, which isn’t actually relevant here, only tangentially related. 368pp. Revell Books. 1 Aug. 2010.